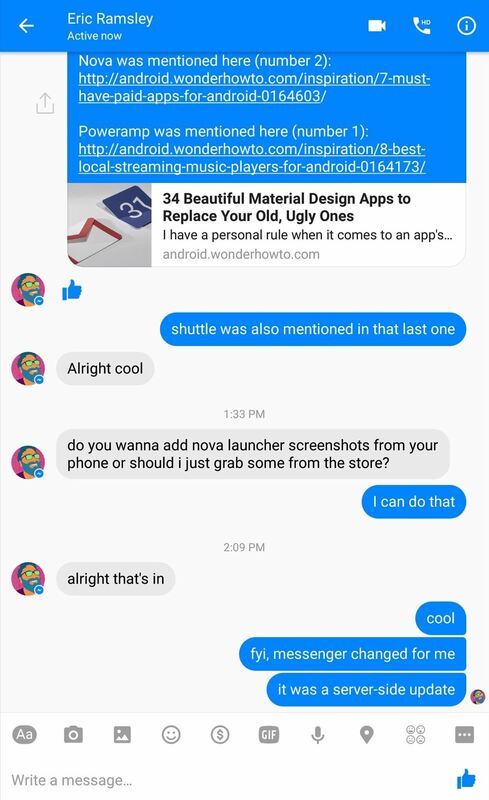 Facebook is finally pushing out the latest version of its Messenger app for Android, complete with a new Material Design user interface. (1) Messenger's new look. (2) It's a little cleaner than the old version. 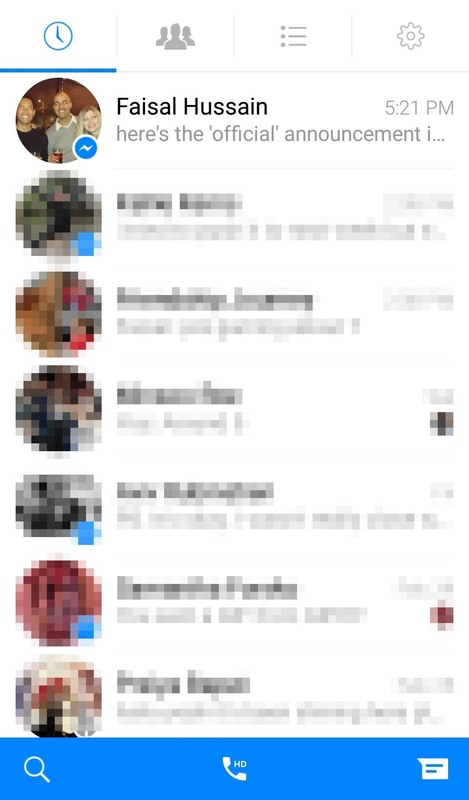 The update, which has been in the works for a while, gives Messenger a slightly different look—the action bar will now appear blue with white icons, rather than white with blue icons as it was before. 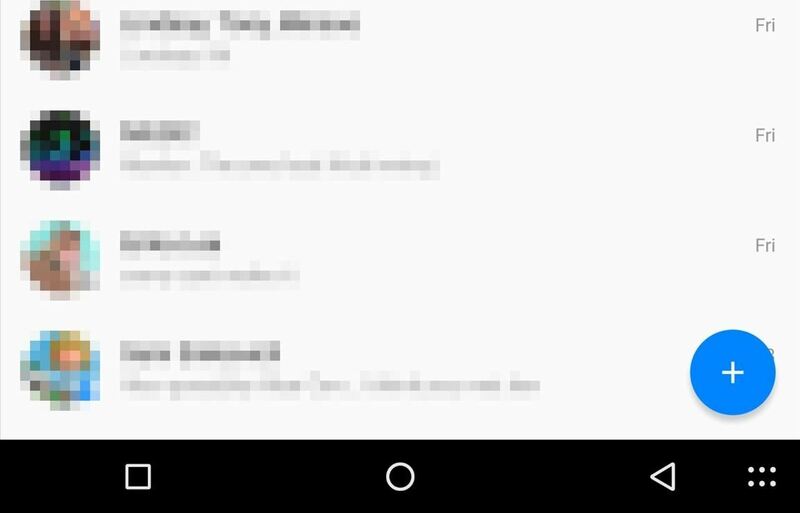 (1) The new Messenger UI action bar is blue with white icons. (2) Compared to the previous version, which was the opposite. 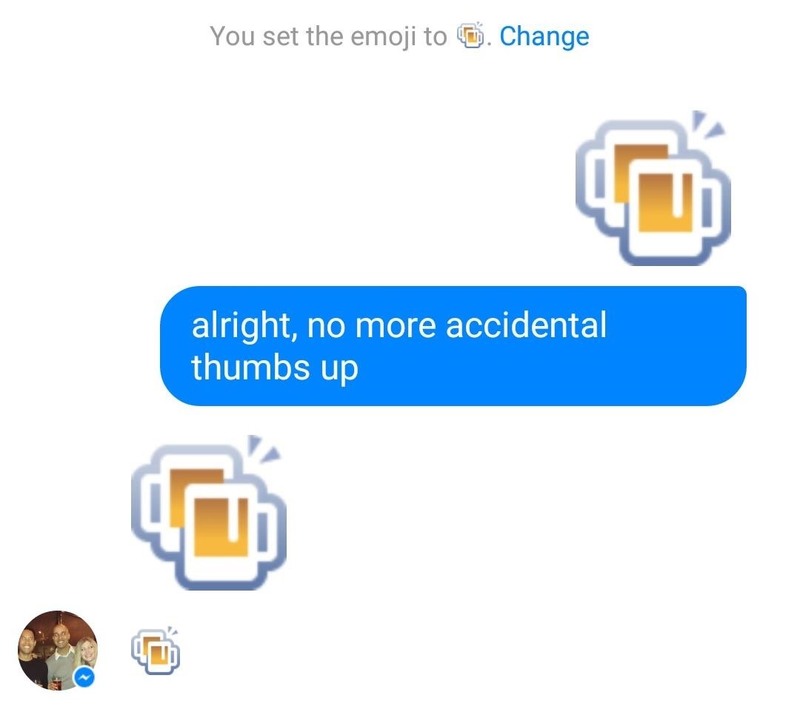 While the option to change the standard blue thumps up emoji to another one has been around for a while, the other emojis you can set in its place can now be sent in various sizes, too. Just press-and-hold the emoji icon to change its size. 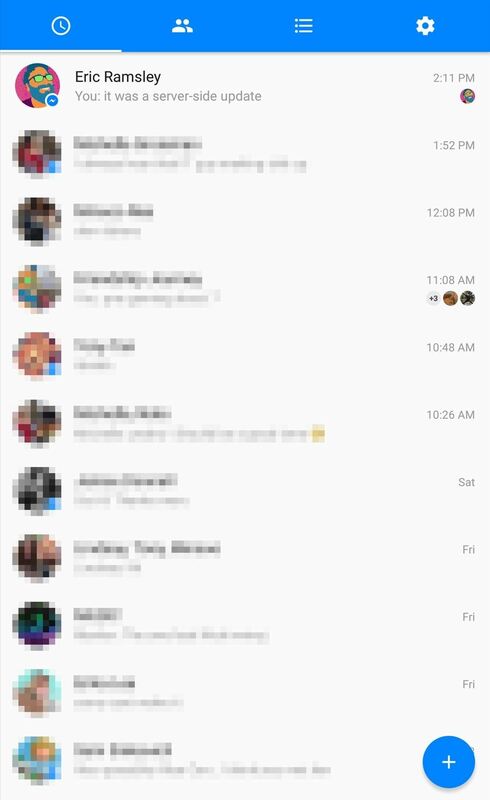 The new design also adds a floating action bubble (FAB) to help you get a new conversation going in a flash. It also looks a lot nicer than the blue action bar across the bottom of the old version of the app. 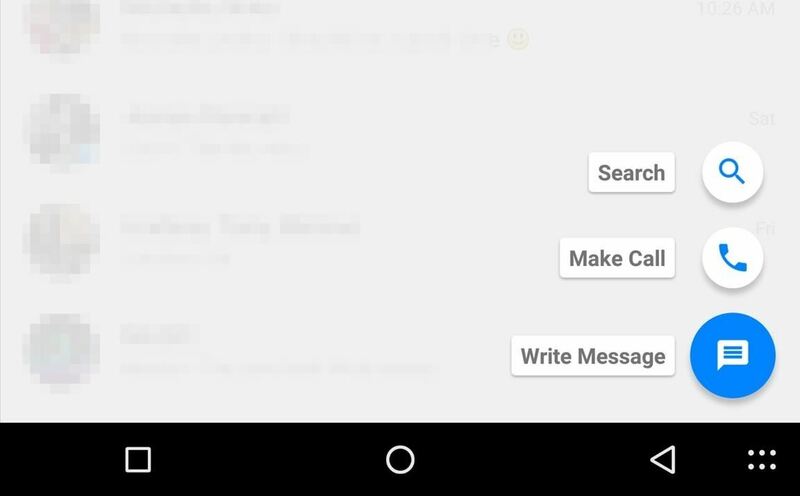 Pressing the FAB opens up three more icons, so that you can start a message, search, or make a call. 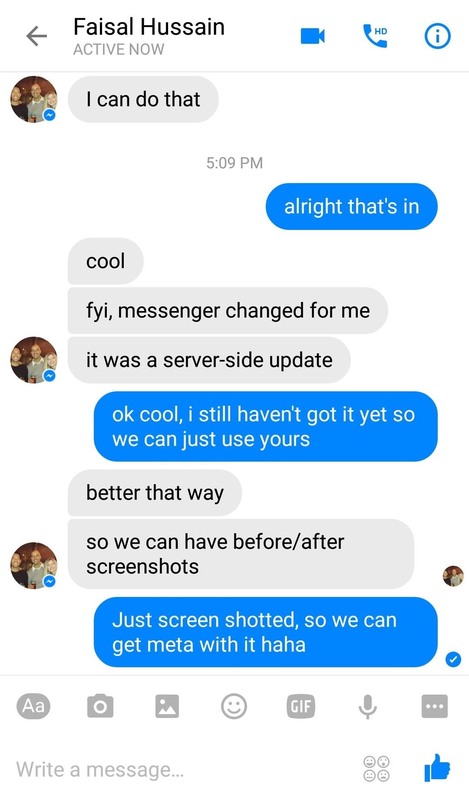 The update to Messenger is being rolled out server-side, but you should get it shortly if you haven't already. What do you think of the new look? What's your favorite new emoji to use in a conversation, and why is it the poop emoji?